Air Suspension Gauges: Why are they important? 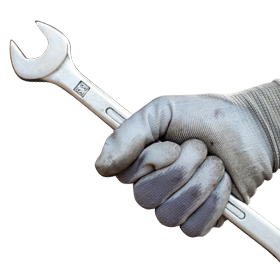 Do you have an aftermarket air suspension system installed to your vehicle? Do you actively monitor the changing air pressures in the tank and air bags? Why is this important to monitor? Whether you’re riding for style or riding for quality, an air suspension gauge is essential for any vehicle with an air ride system installed by displaying the amount of air pressure inside your air tank and air bags. Monitoring and adjusting your air suspension’s pressure is extremely important since it directly affects the way your vehicle rides. If you’re riding with too much air pressure in your air tank or bags, the excessive pressure could cause a fitting to blow. If you’re riding with an inadequate amount of pressure, your vehicle could be too low to the ground, which could cause damage to the parts underneath your vehicle from not being lined up correctly. Monitoring these elements of your air suspension system is vital in maintaining the riding height and quality of your vehicle. Our air suspension gauges are offered in a variety of styles that will let you know when to add more pressure to your air bags due to road imperfections or release pressure for a lowered, custom look. When it comes time to select an air pressure gauge for your air suspension system, you have to know which components you want to monitor such as tank pressure or valve pressure. 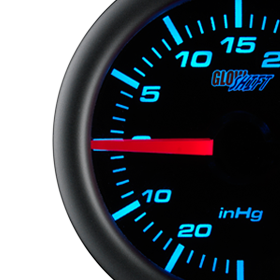 GlowShift offers a variety of air suspension gauges, each unique with different abilities and components used in reading the outputs of your aftermarket air ride system. 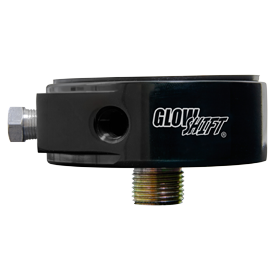 GlowShift’s Air Suspension Gauges allow you to keep a close eye on the changing pressure outputs of your air suspension system with unrivaled accuracy. 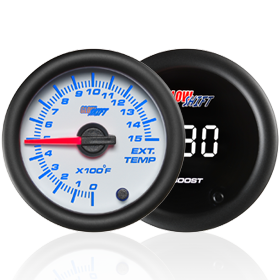 Our Dual Digital Air Pressure Gauges are offered in two different styles, Black 7 Dual Digital Air Pressure Gauge & Tinted 7 Dual Digital Air Pressure Gauge, which feature a dual LED display and read from 0-220 PSI, while utilizing electronic pressure sensors with 1/8 NPT threads making them an easy install to any air tank, valve or air hose. 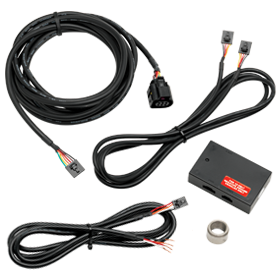 The dual blue digital LED gauge face displays two separate locations of your air suspension system and the electronic sensors eliminate the need to run a lengthy air hose directly to the back of the gauge, cutting down the installation time dramatically. Our Dual Needle Air Pressure Gauges are offered in three different styles, Black 7 Dual Needle Air Pressure Gauge, Tinted 7 Dual Needle Air Pressure Gauge & White 7 Dual Needle Air Pressure Gauge, featuring two analog needles for separate readings from 0-200 PSI and utilize 1/8 NPT electronic pressure sensors. Also featured with the dual needle air suspension gauges is stepper motor technology which allows for precise pressure readings and smooth needle movement. This is extremely important due to the constant air pressure changes the road may effect. Our Single Needle Air Pressure Gauges are mechanically driven and read from 0-200 PSI. 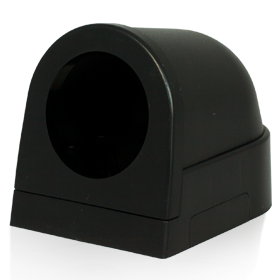 Featured with both single and dual needle air pressure gauges are GlowShift’s 7 color LED through dial lighting with color recall ability, as well as a dimmer wire that allows the gauge to dim 30% for easier viewing at night. Each air suspension gauge, both electronic and mechanical, comes standard with all sensors, mounting hardware, installation instructions, as well as free technical support and a one year limited warranty. If you have any questions about any air suspension gauge, don’t hesitate to contact us, we’ll be more than happy to help.